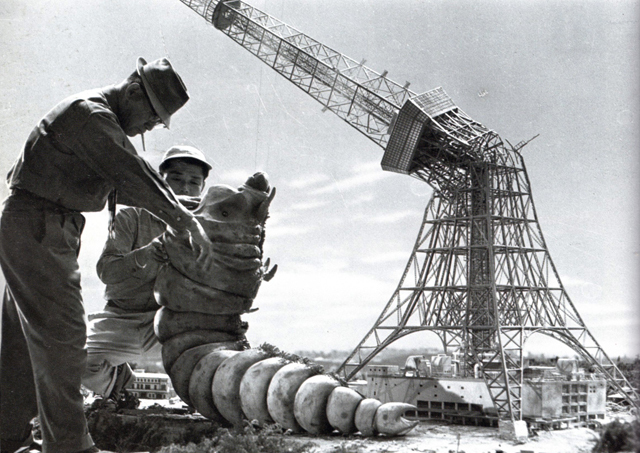 3-D Monster: Best of Behind The Scenes! 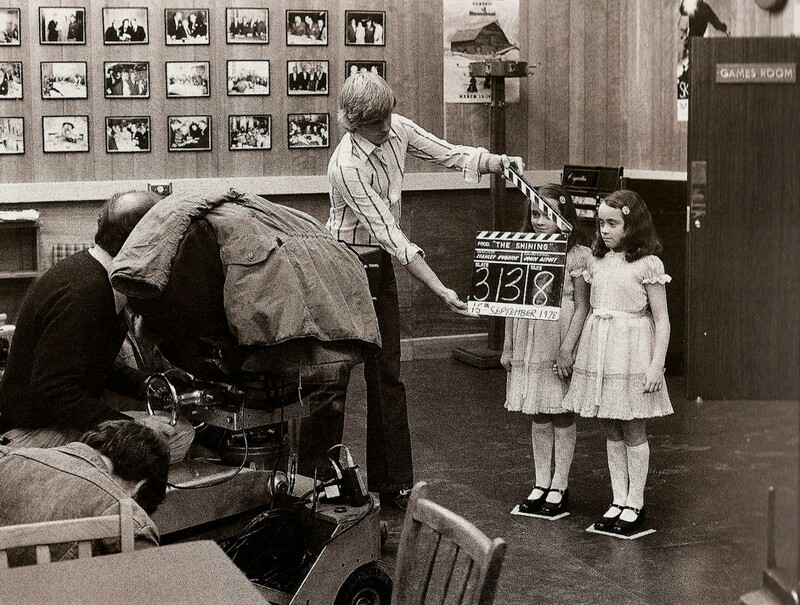 Pics from the making of some of the most iconic films in screen history! See lots more here! From the set of Superman: The Movie. I don't know, it looks like he's really flying to me! 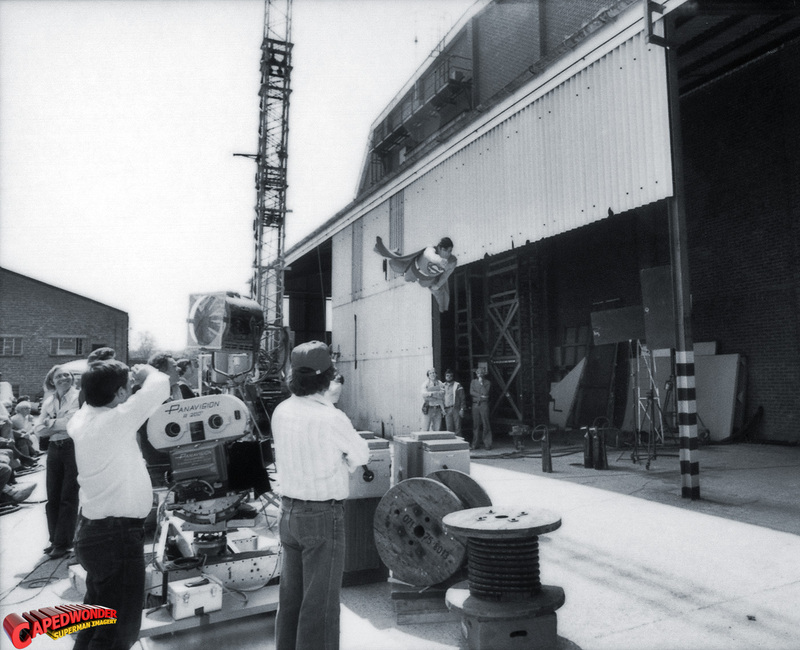 Approaching the fossilized engineer on the set of Alien. 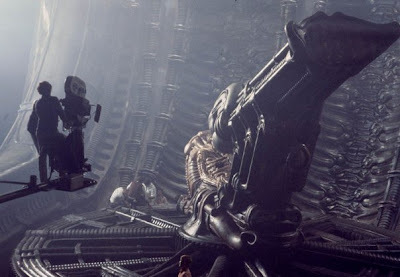 Hey - if that head was actually a helmet as shown in Prometheus, then why is it fossilized with the rest of the body? And for that matter, how did he get back into the... aww, screw it - nevermind! The Stay Puft Marshmallow man on the set of Ghostbusters. Did I really need to tell you that? 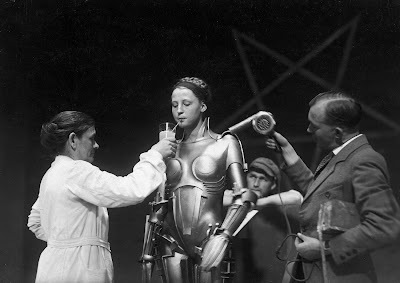 Chick in the Maria robot costume on the set of Metropolis. What's up with the pentagram on the wall in the background? If you don't know who this is, then please leave my blog. 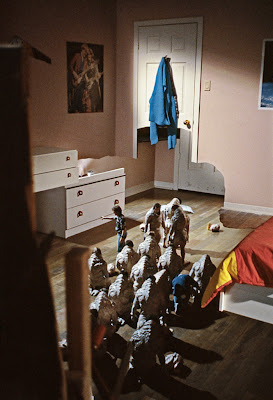 Here's something I didn't know; these are the little demon guys from that movie "The Gate". I always thought they were little puppets, but turns out they were normal-size actors on a giant set. Crazy, huh? Those adorable twins on the set of The Shining who still haunt my nightmares even 33 years later. Is that too long for a recurring nightmare? Perhaps I should seek some help? The Gate trivia just blew my mind. 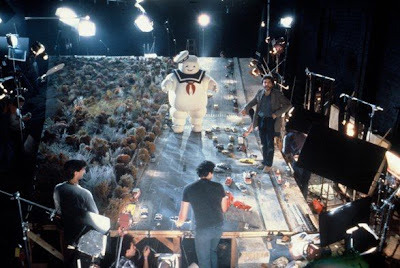 I really thought it was all stop-motion filming. CRAZY! I know, right?!? I guess I've gotta watch that one again. Luckily, it's on Netflix.